Have you got assets that you wish to transfer to your loved ones after your demise? Now might be the right time to set up a trust to that effect. It is important that you set up the trust to avoid the supposed successor from going through the hassles of the probate court. All you have to do is seek assistance from a trust attorney. The attorney will assist you in filing the necessary documents to get this done. To get started, you need to know where you stand and what an attorney would do for you. You need an attorney who will provide legal help to whomever your trustee is. You may decide to let the lawyer be your trustee in order to avoid any form of partiality. Also, if issues arise as per your estate either when you are alive or must have passed on, whatever the court declares is what stands. So it is obvious that a living trust is your passport to peace of mind both in life and beyond. In Victorville, CA, residents find quality legal support from our agency at Rawa Law Group. 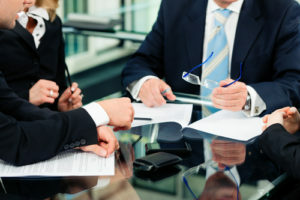 We are a superior five-star legal consultancy agency in California with many years of repute. We parade some of the most accomplished attorneys in all of the state and Victorville. We have several decades of experience in drafting trusts and this is your opportunity to get your documents properly done to avoid complications in the future. We offer you affordable charges but also with a free consultation and useful legal counsel to forestall any mistakes in the future. We keep you aware of your trust details so that you may make changes if you wish. Our services are personalized, with our attorneys giving you maximum attention and full legal representation when and where necessary. You don’t have to do it alone when we can help. Hire a trustworthy revocable living trust attorney Victorville, CA at our office details below.